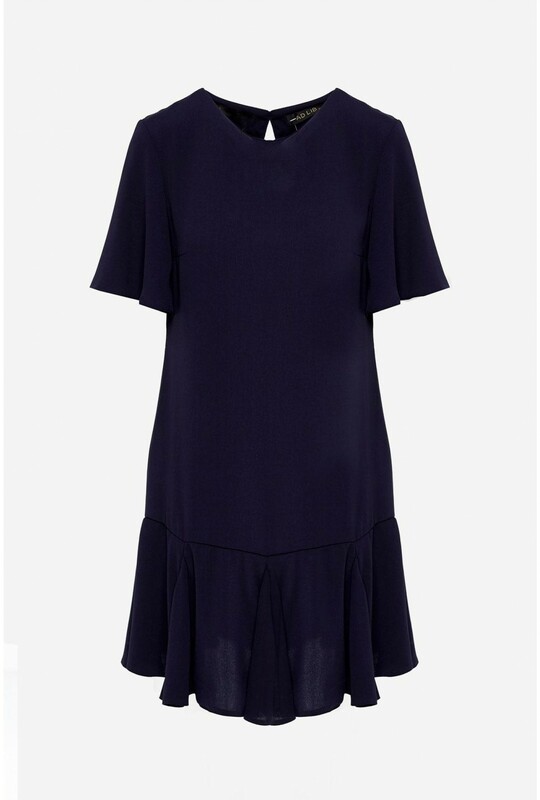 This plain design navy dress is perfect for a special occasion. 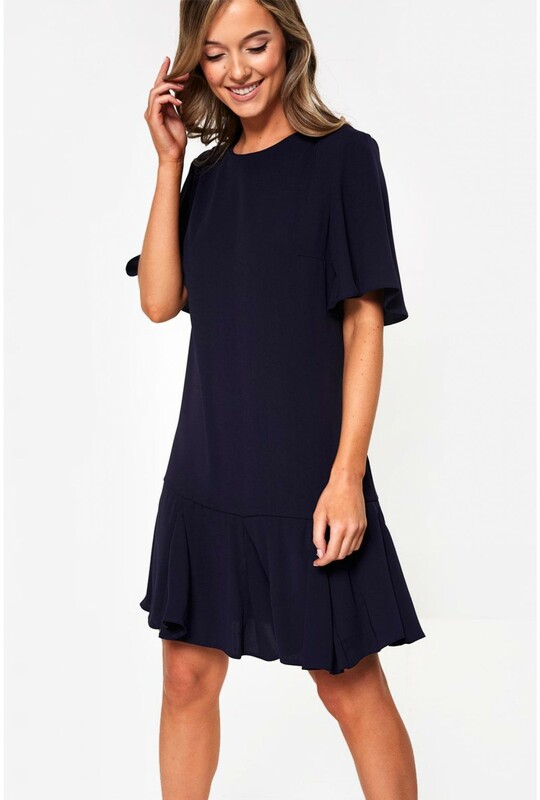 Featuring short flared sleeves and a flowing frill hem for a contemporary edge. 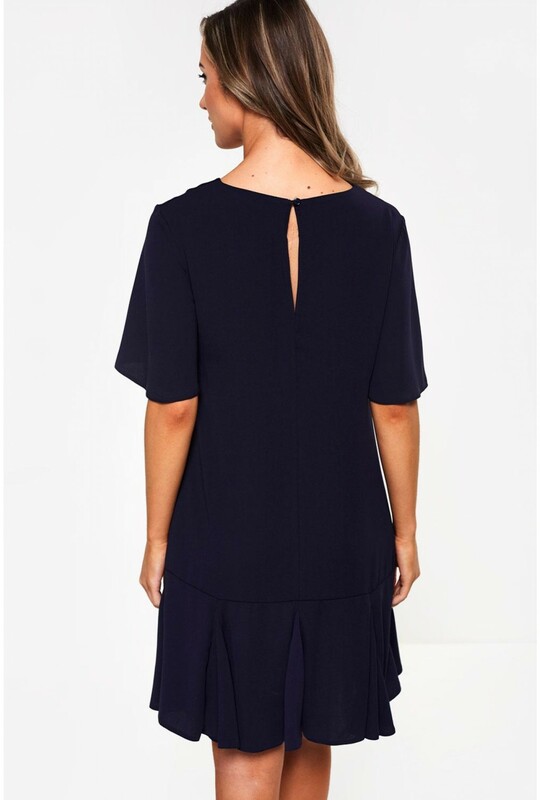 Team with a long-line tailored coat and classic court heels for a simple yet effective event worthy look.